Hi there Fitday Challengers! I think it's a good time to get us started on our next adventure before the last challenge wraps up. This way, we have time to think of new aspirations so when we see the Easter Challenge to completion, we can hit the ground running with new goals! For those who struggled in the last challenge or even stopped posting, please don't let that discourage you from joining in again! For any lurkers out there, I double dare you to get involved!! Stop watching from the sidelines! This challenge is for anyone and everyone! What do you have to lose...but a little weight! This Canada Day/Independence Day Challenge will start Monday, April 6th and run until Monday, June 29th. That makes this challenge 12 weeks in duration which is a substantial amount of time to set and achieve some serious goals! We'll all be feeling confident at the Canada Day/Independence Day festivities! This challenge is going to up the ante just a tad, but these new challenge goals are designed to set each of us up for success!! 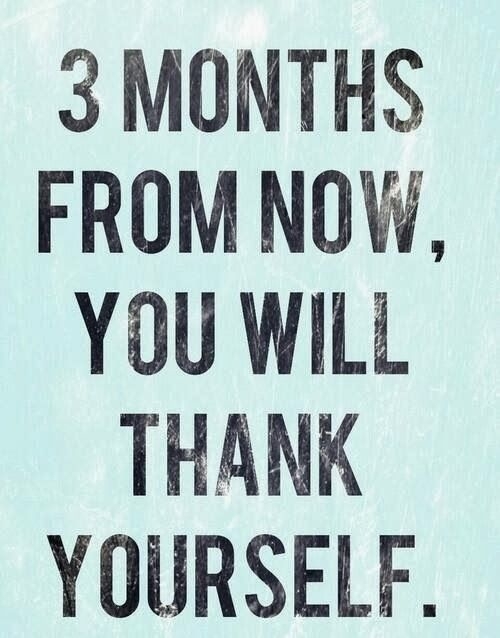 Set your own personal goal weight. As in the last challenge, we'll post our start weight and goal weight and then get to work! NEW! Weigh ins will be posted on Monday mornings. If you normally weigh in on another day, no problem! Keep your regular weigh in. However, for this challenge, the official weigh in day is being set on Mondays. Why Mondays? It seems many (including myself!) struggle to stay on track over the weekends. The intention of setting Monday as weigh days is to help encourage us to stay on track over the weekend. NEW! Set an 'exercise minutes' goal. It's been well documented that losing weight and maybe even more importantly, maintaining lost weight, is more easily achieved when exercise is included. For those that may not currently be incorporating exercise into their routine, please don't let this goal scare you off! For this challenge, any and all movement outside of what you normally do in your day can be counted towards your own personal 'exercise minutes' goal. When setting a goal, make it a number that is achievable to guarantee success! 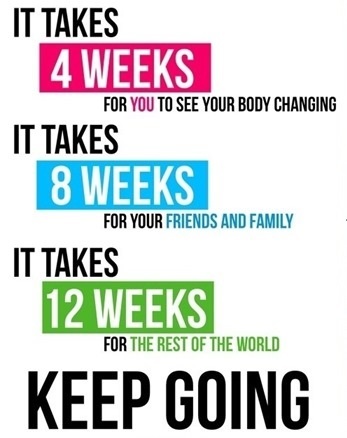 There are 84 days in this challenge, so take that into account when trying to determine a goal number. Not currently exercising? Start by setting your goal for 10 minutes per day! It can be as simple as marching in place during commercial breaks, parking a little further than usual so you get in a few extra steps. Doesn't sound challenging enough for you? Buy a pedometer and set up a goal of steps per day and go for it! For those that are already exercising regularly? I challenge you to increase either duration or intensity! Fitday is a remarkable and supportive place to be! I encourage everyone to set a goal that suits them personally...no pressure or judgement! The point is, we can all exercise regardless of what or how....just simply do! NEW! Biggest loser style! At the end of this challenge, the top three people with the biggest % of body weight lost get bragging rights! It became very apparent in the Easter Challenge that some were more committed than others. I'm not saying this to knock anyone down....heck I'm one of the ones that was less than committed!!! The reason I'm throwing this in is because those who week after week bring their A game, I believe those folks should get a big kudos for being so diligent!! So big kudos and bragging rights they shall have! So there it is folks! I hope each and everyone of you reading this post decide to throw caution to the wind and join a supportive and encouraging challenge group here on Fitday! Last edited by lildebbieg; 03-29-2015 at 03:14 PM. Want to join in on the fun!!! To sign up for this challenge, copy and paste the content below and update with your own personal goals! Then each week, come back and copy and paste your post and update with your progress!! My personal Exercise Minutes Goal looks scary, but that's only 30 minutes a day! In the following weeks, update the Exercise Minutes Check In: 0/2520 with the number of minutes accomplished that week. If I hit my 30 minutes per day goal the first week, I would update as follows 3.5/2520. I've added in all the weigh days, simply post your current weight in the corresponding date. Hope that all makes sense...if not, please post any questions. Looking forward to smashing this challenge with you all!!! Last edited by lildebbieg; 03-29-2015 at 03:55 PM. I'm in for this challenge! I'll be aiming for 250 on this one--anything I can reach below that is an added bonus! My MD hasn't yet cleared me for any exercise other than housework/walking--she wants me to be below 250 to reduce chance of injury to arthritic joints--so I'll be walking only for my exercise. Yay Lisa! Sooooo happy to see you joining in!! Vicki and Lisa, are you going to post an exercise goal? Vicki I do realize you plan to walk, but what about a minutes goal? It can be anything! 5 minutes of marching in place a day! It doesn't need to be formal, it's just intended to get us all doing a bit more than we do today. Last edited by JenniferP1; 03-31-2015 at 01:35 AM. WOW! Look at you upping the ante even more Jennifer by posting a step count goal and a calorie goal! Good on you! Glad to see another fitdayer joining in!